Travel on a dragon's back, face snow witches, explore the spooky world beneath Edinburgh's streets and get hooked on the Dragonfire series! 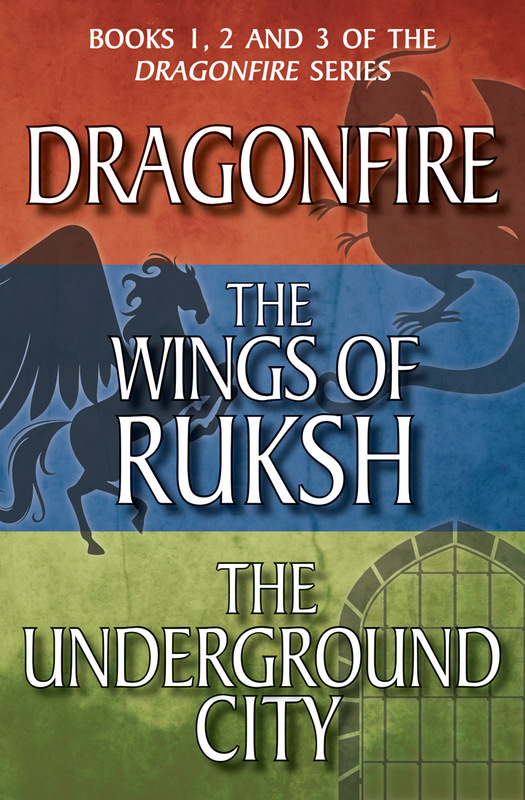 An ebook-exclusive omnibus of books 1, 2 and 3 in the popular and thrilling Dragonfire series. 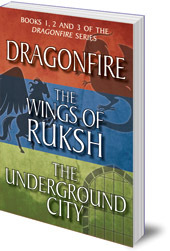 This is an ebook omnibus of books 1, 2 and 3 in the popular Dragonfire series: Dragonfire, The Wings of Ruksh, and The Underground City. In the first book of this thrilling series, Neil and Clara find themselves in the middle of feuding faery lords, missing whisky, magic carpets, firestones and ancient spells in the middle of Edinburgh. A year later, in The Wings of Ruksh, and Neil and Clara are on a dangerous journey of winged horses and snow witches. Book 3, The Underground City, is a ghostly story set against the backdrop of the spooky Mary King's Close in Edinburgh. Anne Forbes was born in Edinburgh and trained as a teacher. In 1966 she moved to Kuwait and worked for many years at an Anglo-American School. She is married with one daughter and now divides her time between homes in Scotland and Kuwait.